We chose Susan as our Realtor because she went above and beyond answering all questions we had before starting our home search. We had a very short period of time to find a home and Susan went out of her way to find us what we were looking for in a home and got a commitment from builders about the purchase of the home in a timely manner. We would definitely hire Susan again and we have already recommended Susan to others. Susan was determined to find us exactly what we were looking for in our first home. As first time home buyers we were excited but tried to keep our expectations low as it was a very competitive market. 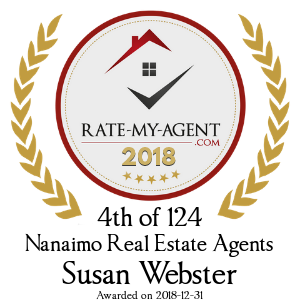 At times it was discouraging because houses were selling quickly but Susan kept us encouraged and assured us we would find the home that was right for us and we did! It was easy to choose Susan as our realtor; we clicked well and she made the whole process as smooth as possible from start to finish. We would absolutely use Susan as our Realtor again and she gets five stars out of five!! Sue and Ted Croft said Susan was…committed… knowledgeable…tenacious…honest…kept in regular contact…understood our vision…looked out for our best interests. What we really appreciated was that Susan kept in regular contact with us and provided us with information about the properties and with status updates. We really felt she looked out for our best interests and represented us in the best way possible. She even contacted an appliance store to arrange for a replacement fridge when the one we purchased didn’t fit. I would definitely, without hesitation, hire Susan again and recommend her to a friend.